The Happiness Project | Robert Holden, Ph.D. I thought I was a happy person and I was. Now after completing the course, I am happier on a deeper, quieter level. I also notice that I am happiest when I am being grateful. Thank you Robert. This student was definitely ready for you, my latest teacher. Dr Robert Holden's work on happiness has been proven to be a genuine fast-track to happiness. QED scientists charted the progress of three volunteers under Holden's tutelage. His methods worked. QED scientists may well have discovered a fast-track to happiness. This course has changed my life. I am more like the real me. I feel like my life can start again now. Coaching Happiness is a life-enhancing and life-changing experience. 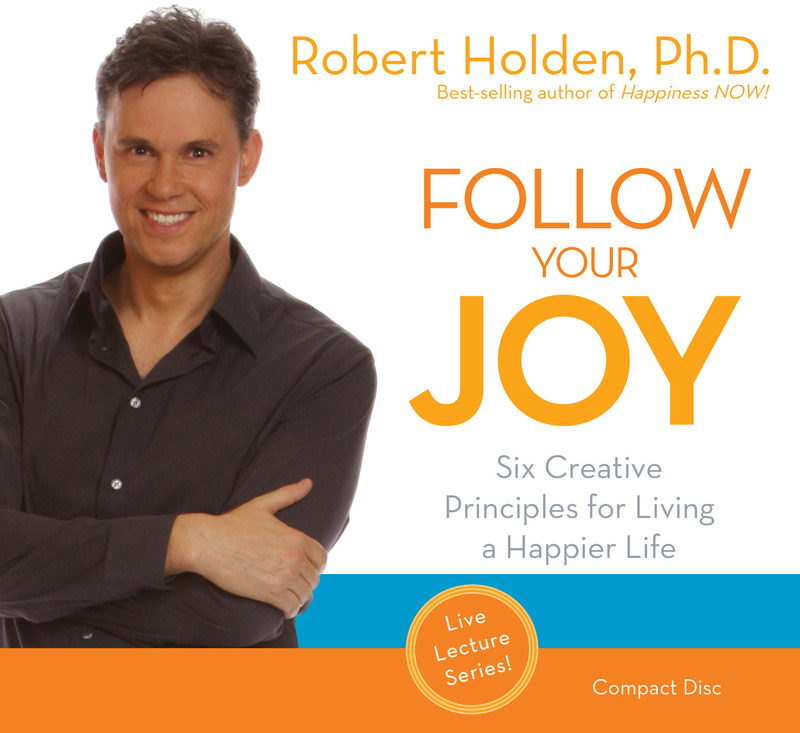 Robert Holden inspires you to be your authentic self and follow your joy. This program was full of wisdom and truth. Inspirational, encouraging and immensely enjoyable. I loved it all. Robert is a masterful coach and facilitator. To see him in action is inspiring. This generous program allowed me to embody many of the powerful lessons and exercises that are at the heart of his work. I am now better equipped as a coach and teacher. I set up The Happiness Project on the National Health Service, in Birmingham, England in 1994. The Happiness Project is, in essence, a meditation on the psychology, sociology, and spirituality of happiness. It explores what true happiness is, what blocks happiness, and what enables happiness. The Happiness Project became a household name in 1996 when the BBC broadcast a QED science documentary called How to be Happy. The BBC documentary has since been shown in 20 countries to over 30 million television viewers. The 8-week happiness program – called Be Happy – is the signature event of The Happiness Project. The program consists of group workshops, personal coaching, home learning modules, and daily e-mails. A cast of thousands – from all walks of life – have attended my program over the years including psychologists, physicians, ministers, artists, clowns, poets, business leaders and coaches. Hay House is launching a new online Be Happy 8-week program in 2016 to mark the 20th anniversary of the BBC documentary. Watch this space! My work with The Happiness Project was the subject of an Oprah Winfrey Show called How Happy Are You? On the show, I coached people on how to increase their happiness quotient. My book Happiness NOW! reached number 4 on Amazon straight after the show! I am an official contributor to Oprah.com, where I’ve posted a series of articles including an 8-Day Happiness program and also the Be Happy Index, which is a free happiness test. Each year, I teach a 5-day intensive called Coaching Happiness. This certified training offers a deep dive into the heart and soul of my work with The Happiness Project. People come from all over the world. It draws huge interest from health-carers, psychologists, educationists, therapists and life-coaches. It’s one of the highlights of my year. Check out Events for dates, and for other public programs like my 3-day Happiness and the Enneagram course. 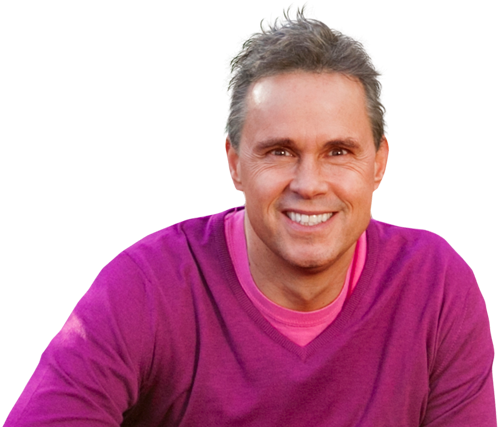 I love to give keynotes and master-classes on my work with The Happiness Project. My team and I have given over 500 presentations worldwide. We’ve worked closely with the National Health Service, MIND, Royal College of Nursing, Bristol Cancer Centre, Samaritans, The Royal Marsden Hospital, and Macmillan Nurses Association. I’ve also presented to students and faculty at Oxford University, Cambridge University, University of Massachusetts, and University of Santa Monica. People who follow their joy are the renaissance workers of our age. They recognize that happiness is the key to success. The world of business, economics, politics, education and law love the work of both The Happiness Project and Success Intelligence. I’ve worked with so many great clients over the years including Dove, Heathrow Airport, Virgin and The Body Shop. One very happy memory for me was designing a well-being program for The Good Hope Hospital attended by all the doctors and every member of staff including the night porters and janitors. The Happiness Project has given aid to many brilliant causes over the years, including The Children’s Society, RNIB, Samaritans, Home Start, Oxfam and Comic Relief. We have donated hundreds of our books and products to the Prism program for wellbeing in prisons. Every year we give bursaries and scholarships for our programs to individuals and to professionals working in charities and non-profit organisations. Please contact us if you would like to benefit from our aid program. Today it's up to you. It can be "Good Morning, God" or "Good God, morning."